Advertising self-regulation comprises two major elements. The first is a code of conduct to which marketers must abide in terms of how they advertise. Typically, this means a general code of ethics with separate sections relating to the advertising of specific products, such as food and beverages, cosmetics, etc. Secondly, a Self-Regulation Organisation (SRO) is charged with monitoring, policing and enforcing the code of conduct. SROs are funded by the advertising industry (advertisers, advertising agencies and media) but operate independently from industry in order to ensure impartiality. SROs deal with consumer and competitor complaints about advertisements and to ensure that advertising is legal, decent, honest and truthful. Is self-regulation a question of industry just regulating itself? Advertising self-regulation does not happen behind closed doors. While the industry funds self-regulation, it does not get involved in the day-to-day running of self-regulation. The European advertising industry has developed a best practice model for advertising self-regulation following consultations with consumer and public health bodies under the auspices of the European Commission’s Directorate General for Health and Consumer Protection. This model recommends the involvement of non-industry stakeholders in the process. This can mean consultation with interested parties in the development of codes or the involvement of independent parties in adjudication panels. The industry is currently rolling out this best practice model worldwide. So, in practice, self-regulation involves a wide range of stakeholders, both in terms of the content of the codes and decision of complaints. Advertising self-regulation does not replace statutory legislation but complements an existing framework of law to provide robust and proportionate consumer protection with advantages for consumers, business and governments. In the few cases where this is needed, provisions for a legal backstop ensure that companies can be taken to court if in continued breach of a self-regulatory code. Effective self-regulation offers consumers a double layer of protection. On top of the legal backstop, advertising self-regulation includes stringent sanctions for advertisers in breach of codes. These comprise ‘naming and shaming’ (publication of decisions), the withdrawal of the advertisement, obligatory copy advice for future campaigns and withdrawal of trading privileges. What are the advantages of advertising self-regulation? Without self-regulation, every time a company or consumer complained, the complainant would be forced go to the courts. This would involve significant financial resources and a great deal of time, while the advertisement would continue to be aired throughout the whole process, effectively meaning “the damage would be done”. Self-regulation supports a legislative framework: it deals with legitimate, mainstream advertisers while authorities are freed up to deal with rogue traders. Self-regulation operates at no charge to the consumer or government. Yet, statutory regulation and enforcement ultimately place a financial and bureaucratic burden on the consumer. Copy advice and pre-clearance systems are often used to improve compliance with self-regulatory codes before ads are aired. Self-regulation is dynamic and flexible. Technology and market conditions evolve at an astounding speed. In contrast to the lengthy procedures required for adopting and reviewing statutory regulation, advertising self-regulation is a highly flexible and responsive form of regulation; regular reviews ensure that codes are proportionate and respond to consumer concerns. This flexibility means that self-regulatory systems can respond quickly and proactively to sensitive issues in advertising, such as children, food, and alcohol. Sectoral codes can add specifics that apply to a particular category of goods or services or advertising techniques used. Advertising self-regulation promotes best practice. Being industry-sponsored, both in terms of financing and content, advertisers have an incentive to abide by both the spirit and letter of the codes. How can advertising self-regulation provide special protection in terms of children? Industry recognises that it has an especially important responsibility with respect to advertising to children. The advertising industry has made a commitment to develop and implement especially high standards of self-regulation in the area of advertising to children. Self-regulatory codes include very detailed provisions in this area. When relating to children, advertising self-regulation is often more restrictive than statutory law. In addition to self-regulatory codes themselves, the International Chamber of Commerce has issued further interpretative guidelines, such as the Framework for Responsible Food and Beverage Marketing Communications which offers detailed interpretation of existing codes. Independent studies show that advertising self-regulation ensures high levels of consumer protection. Advertising self-regulation has repeatedly been commended by non-industry commentators for its effectiveness in ensuring a high level of consumer protection. Studies undertaken by the European Commission point out that advertising self-regulation “seem[s] to be especially successful with respect to the application of rules on advertising and the protection of minors”. Where are there systems of advertising self-regulation in place? The industry has established self-regulatory systems in nearly all major markets, which ensure that national codes of conduct and their provisions on advertising to children are applied effectively. 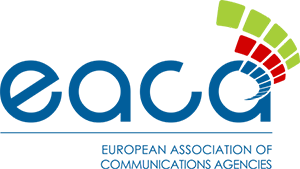 The European Advertising Standards Alliance (EASA) brings together national advertising self-regulatory organisations and organisations representing the advertising industry in Europe who support self-regulation. Funded by industry, its mission is to promote responsible advertising through best practice in self-regulation across the European Single Market for the benefit of consumers and business. It is the single authoritative voice on European Advertising self-regulation. The International Chamber of Commerce (ICC), as the world business organization, promotes high standards of business ethics through the development and dissemination of rules, including codes and guidelines on how business should direct its efforts to assure that commercial communications to consumers are responsible. ICC’s longstanding view is that commercial communications are best regulated by effective self-regulation within a legal framework that protects consumers from false and misleading claims. The Commission on Marketing and Advertising of ICC has prepared a Framework for Responsible Food and Beverage Marketing Communications (2006) with specific provisions relating to the advertising of food and beverages vis-à-vis children.